Smartwatch maker Omate has teamed up with Tata Communications to announce its new “Omate x Nanoblock” smartwatch for kids with enhanced security features. The wearable comes with an adorable design, with small plastic blocks like LEGO on the band. The Omate x Nanoblock offers a bunch of simple features such as an alarm, pedometer and stopwatch. The highlight of the device is the security features such as SOS alerts, two-way voice and video chatting and location tracking. It is mainly designed to help parents keep track of their kids and communicate with them on the go. The watch allows two-way chat for parents to communicate with their children and the child can also send an SOS alert in an emergency. The smartwatch likewise features a front-facing camera, which can be used for video calls and as well taking selfie snapshots. The smartwatch also provides location-based services so that the watch (and child) can be found using a companion mobile app. Omate says the smartwatch triangulates the location using the GPS, cellular networks and Wi-Fi hotspots. All this is possible with Omate x Nanoblock’s built-in Tata Communication’s MOVE IoT Connect SIM offering 3G connectivity. The company also said all the location, messaging, and video calling data is encrypted end-to-end over a virtual private network (VPN). “Given the growing threat of cyber-crime, any device or application aimed at children must be safeguarded with the highest levels of security,” Laurent Le Pen, Omate’s founder and CEO said. “What sets the ‘Omate x Nanoblock’ apart from other smartwatches is the extra security layer provided by the global private network of Tata Communications MOVE-IoT Connect,” he added. The company also revealed that Omate x Nanoblock comes with 3-day battery life and charges using a magnetic charger when necessary. The watch will be available in both black and white colours. 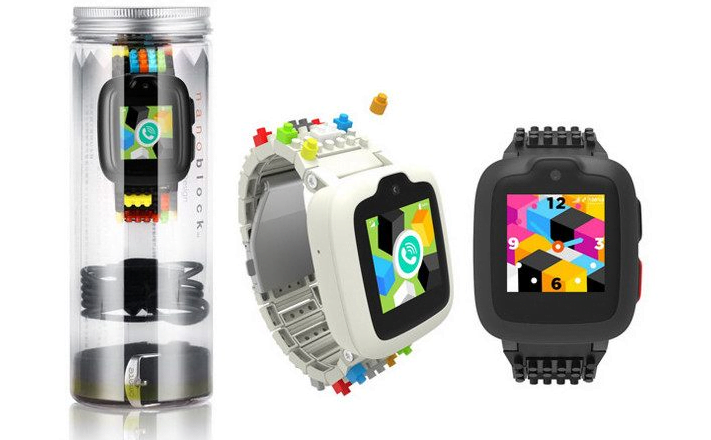 The company plans to showcase the kids’ smartwatch at upcoming Mobile World Congress. The Omate x Nanoblock will be available for pre-order in April on the official website and shipping is set to start in June 2018 exclusively for the US and in Europe markets. The watch starts at $179, which includes a year of service and data.